Click and subscribe if you share our enthusiasm for science, tech, and engineering! Ötzi aka the Iceman is a phenomenon and the oldest known natural human mummy. And it has started to speak. Scientists have recreated the voice of Iceman, who aimed to discover the timbre and color of his vowels. Scientists describe their result as the 'best possible approximation' of Ötzi's voice at the EURAC Institute for Mummies and the Iceman in Bolzano. How was Ötzi's voice created? 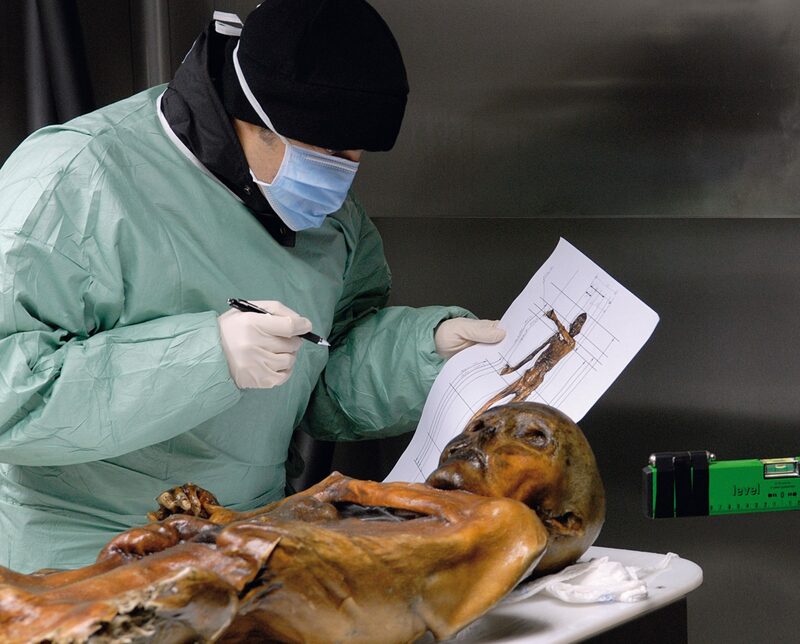 Rolando Füstös, chief of the ENT department at Bolzano's General Hospital, stated that they couldn't say with certainty that they have recreated Ötzi's original voice. He states that they are missing some vital information from the Iceman. "But with two measurements, the length of both the vocal tract and the vocal cords, we have been able to recreate a fairly reliable approximation of the mummy's voice. This is a starting point for further research," he says. A specialist team from different backgrounds has worked together and based their investigation on the CT scans of the Iceman to create a model of his vocal tract. Füstös and colleagues Piero Cosi, from Institute of Cognitive Sciences and Technology, National Research Council in Padova, Andrea Sandi, at SINTAC Biomedical Engineering in Padova, and Francesco Avanzini, ENT specialist and phoniatrician at the city's General Hospital, have dealt with many difficulties like Ötzi's position. 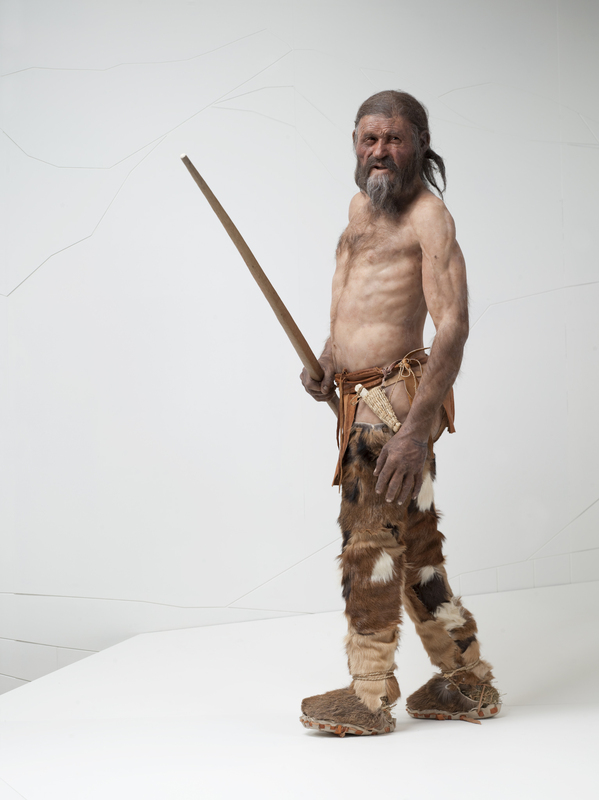 Ötzi's arm covers his throat, and for this project, that was the worst possible position. In addition to this, the tongue-bone or hyoid bone was party dislocated and absorbed as well. "The vocal chords are the source of the vocal sound, but the main contribution to it is given by the selective filtering accomplished by the vocal tract configuration," Füstös said. Researchers had to use a special software to reposition his skull into the correct position, move his arm and to reconstructe his vertebrae, from the first one closest to the skull (C1) to the first thoracic vertebra (T1). They also reconstructed and repositioned the hyoid bone, which supports the tongue. Even though they missed important data such as the density and tension of the vocal cords, or the composition and thickness of the soft tissues that affect the human voice, they made up a complete model of the vocal tract, including the mouth and vocal cords. Because of the condition of Ötzi's body, they couldn't use MRI scans, so they had to rely on software and mathematical models that simulate the way that the vocal tract works. "It is a novel high-tech approach to bring 'life' to ancient mummies. It helps to understand the impact of post-mortem processes on the preservation of the anatomical structure." Watch the HyperXite team use simulation for early design exploration with ANSYS Discovery. Why Can’t You Hear Your True Voice?